Another busy month draws to a close. Let’s see if I can remember all the exciting stuff I’ve been able to create, which consisted mainly of video content. I’ve created a 5-part mini series on how to take a rasterised image, turn it into an extruded 3D object in Blender and use it to create a snazzy logo. This August, I’ve created 9 tech articles, uploaded 16 videos, narrated and edited my book BROKEN BOWELS (twice), created/revived five podcast feeds, created logos for them, overhauled one of my websites, and took on a part-time job with Instacart. It was a very busy month, and a lot has happened. Looking back over this extensive log entry alone, it baffles me somewhat to see just how much I have achieved! It’s all been about streamlining some aspects of my life, as well as finishing off things that have been sizzling in the background for some time. 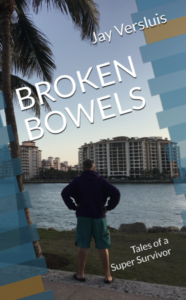 I spent much of this month narrating my new book BROKEN BOWELS, with the intention of releasing it as an Audio Book alongside the Paperback and the Kindle Version. I’m nearly finished, and provided ACX, Audible, Amazon and iTunes are happy with the files, I’m expecting it to be released sometime in August. 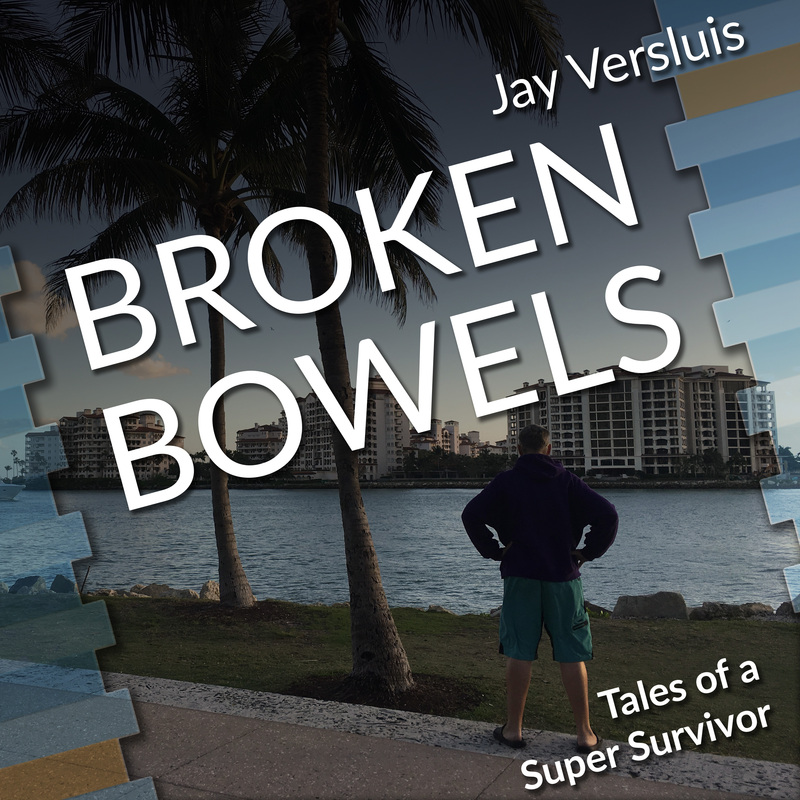 Audio Books are are becoming very popular, and I can imagine that fellow patients could pass the time listening to my experiences while getting a lengthy infusion. This month I’ve decided to start this list at the beginning of the month and add to it as I go along, rather than trying to retrace what I’ve been doing (like I did last month). The latter approach takes forever and is prone to losing something I did in the process. Starting this list early means I can easily add to it, and even schedule the date of publication. It works great both for scheduling as well as a victory log. I’ve spent the second half of May writing more of my book, something I’ve taken a break from for over two months. To see where I stand, I printed the whole 400+ pages out and bound them using 1″ book rings (just about fits). The book is definitely coming together, but there’s so much more I want to say. 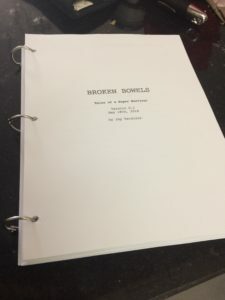 It will probably take me the better part of June finish t.
I gave myself an (already extended) deadline: Broken Bowels shall be released on the 4th of July, which means I need to deliver the final manuscript to Amazon no later than June 30th 2018. My original plan was to have it all done by the end of March but I had reached a point at which it just didn’t flow anymore. As I later found out it was the premise that wasn’t working for me. 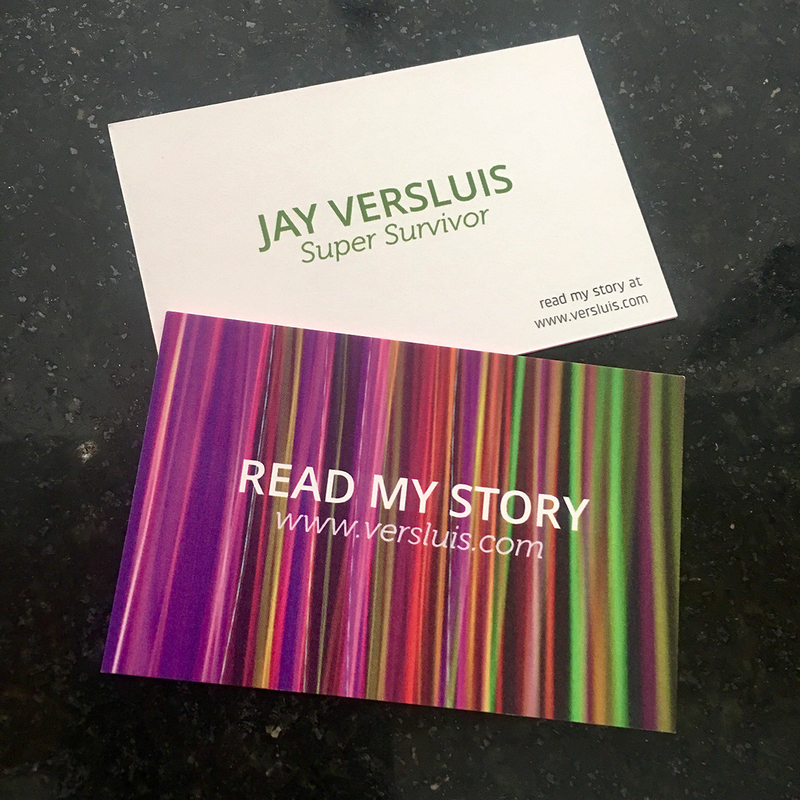 The more I thought about it, the less I felt that an account of the events as they happened during my cancer journey wasn’t telling the whole story. What was fascinating me more and more was the question, “how did I survive this ordeal – both mentally and physically”. And as soon as I started writing with that question in mind, things kept flowing like never before. Hence I’m very happy to report that I’m back in the game, hitting the keys almost every day and I’m very much enjoying it! 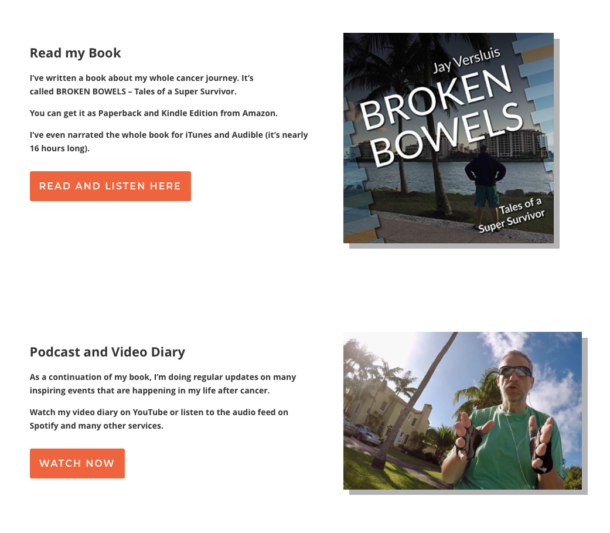 This month I’ve setup a Patreon campaign so that people from all walks of life can support all my many projects on an ongoing basis. As part of that, I though it might be an interesting idea to give supporters an idea to see what exactly I’m doing with my time, and as a result what I’m creating. So starting today, here’s a list of things I’ve created during the last month. It’s quite an eye opener, even for myself. 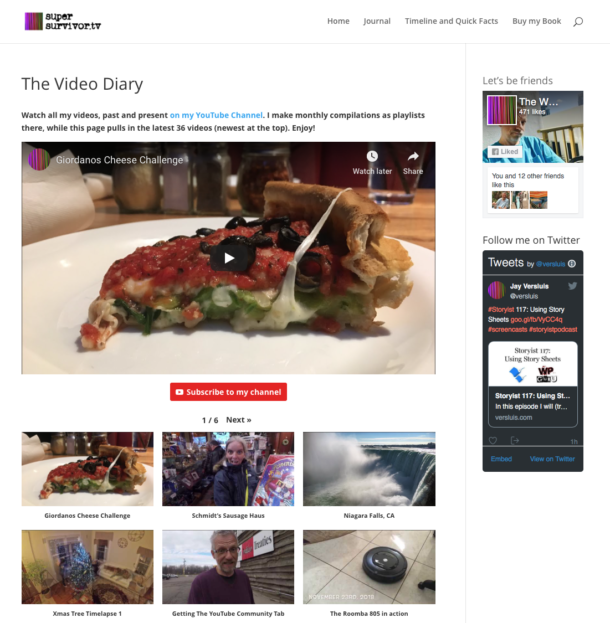 Usually what I create – be it writing, images, videos, setting up new projects, et cetera – is spread across many different places. I always knew that I create a lot, but as soon as I hit the “publish” button it becomes “the past”, and I tend to look ahead rather than behind me. These little lists are a nice reminder of one’s hard work throughout the month. I’ll try to devote some time on the last day of every month going forward to compile what I’ve done. If I find the time, I might even go back and add more lists retrospectively.